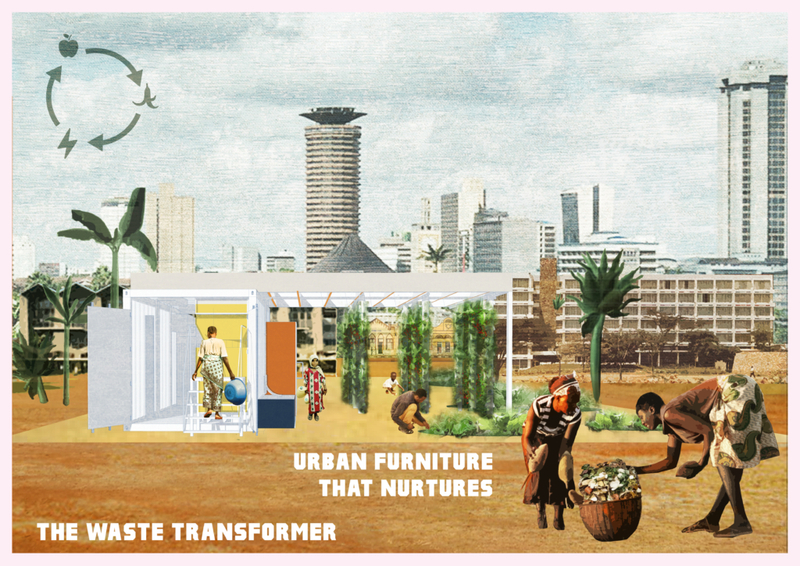 The Waste Transformer is a small-scale, high-impact, deconstruction of value ‘in a box’, powered by organic waste. 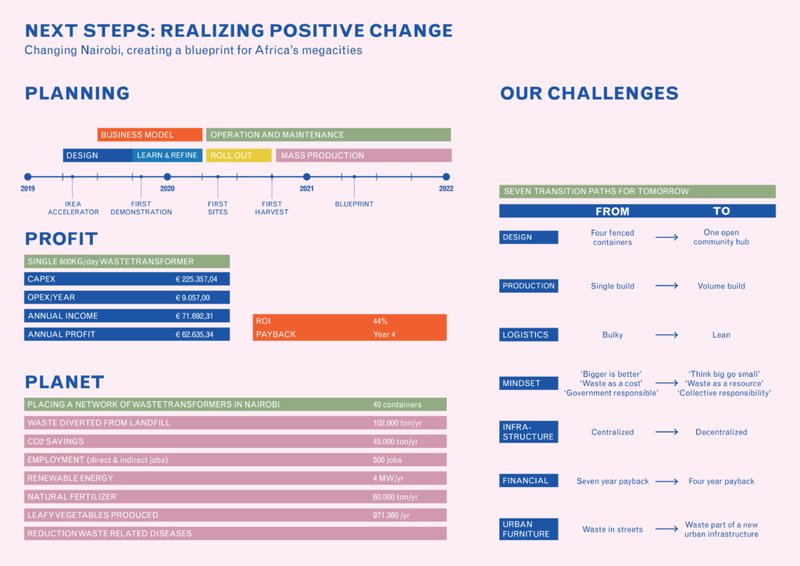 Our game-changing, plug and play system creates energy and nutrient-rich hotspots for African megacities. 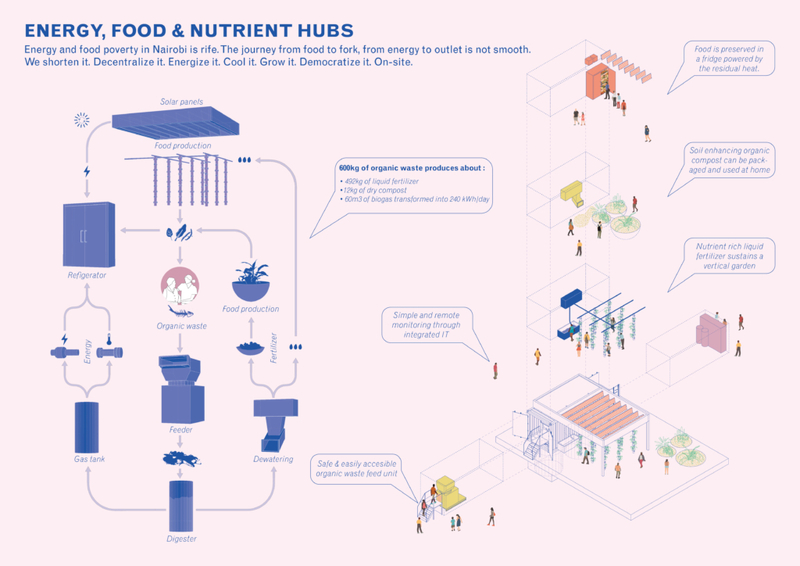 A flat packed model which folds opens into and powers an urban farm, transcending current infrastructural challenges and redefining the current farm to fork journey of food in Nairobi. 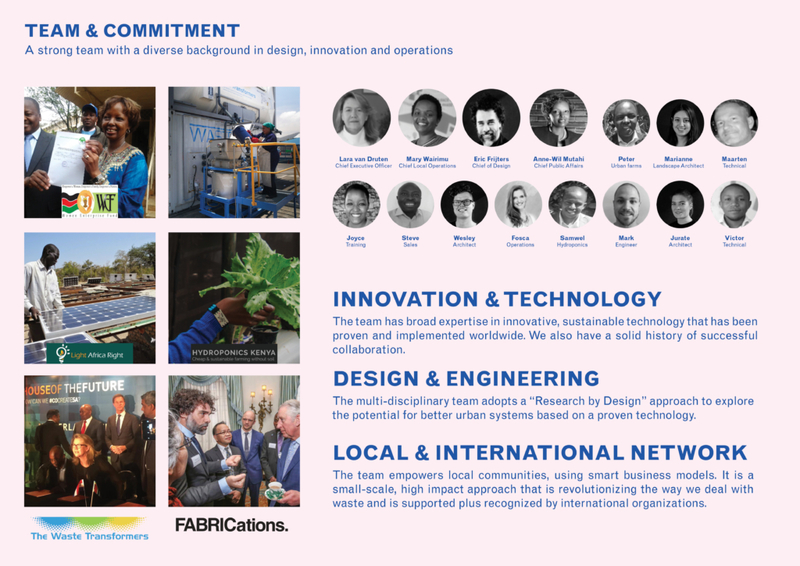 The modular Waste Transformer allows communities to independently transform their waste into value off-grid. The green electricity (transformed from biogas through a CHP and solar panels) will power the installation and provide extra energy for the community. The residual heat powers a community fridge for local food storage. The remaining waste is transformed into a highly nutritious, liquid-fertiliser used to grow food for the local community, in the urban farm that folds out from the container. With our combination of design and engineering know-how, we will empower communities to generate their own energy, keep their living environments clean, win back nutrients in their waste, grow wholesome food, kept cool, while ensuring that no waste is wasted. On-site. No transportation. No emissions. And with a healthy business case. 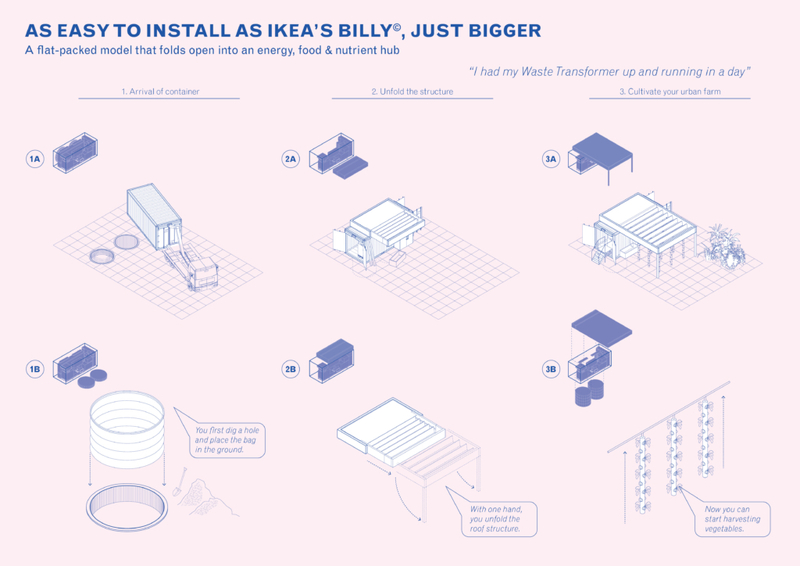 IKEA’s Billy ©, revolutionized the world of home furniture. 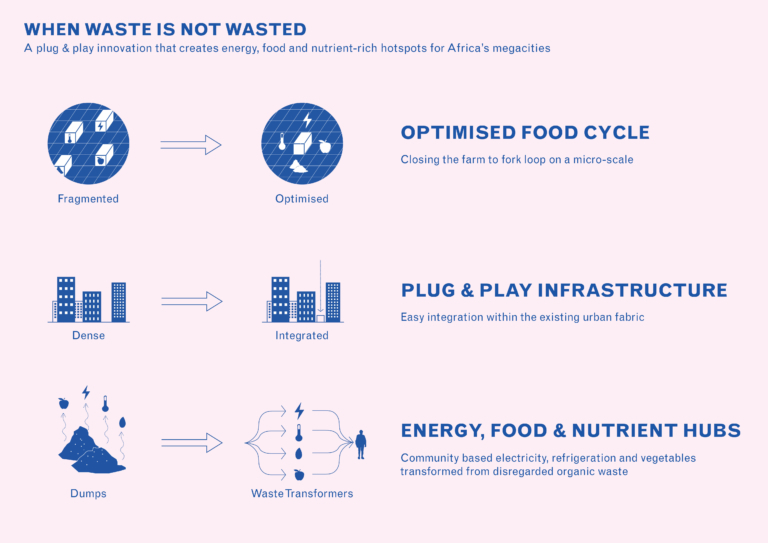 We want the Waste Transformer to become the Billy © of the waste world, an all-in-one neatly packed solution to the waste, sanitation, energy, nutrition and environmental challenges of Cities. 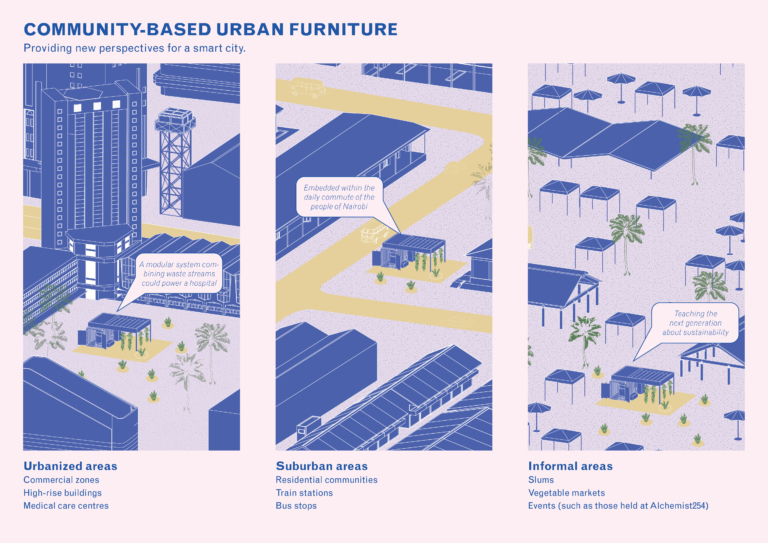 Working with IKEA we will redesign the urban furniture of Nairobi, creating a new smarter, inclusive infrastructure: looks good does good!